After two decades of existence in the U.S., PRWeek is pleased to report that the communications profession has earned its share of influence with CEOs and C-suite executives. 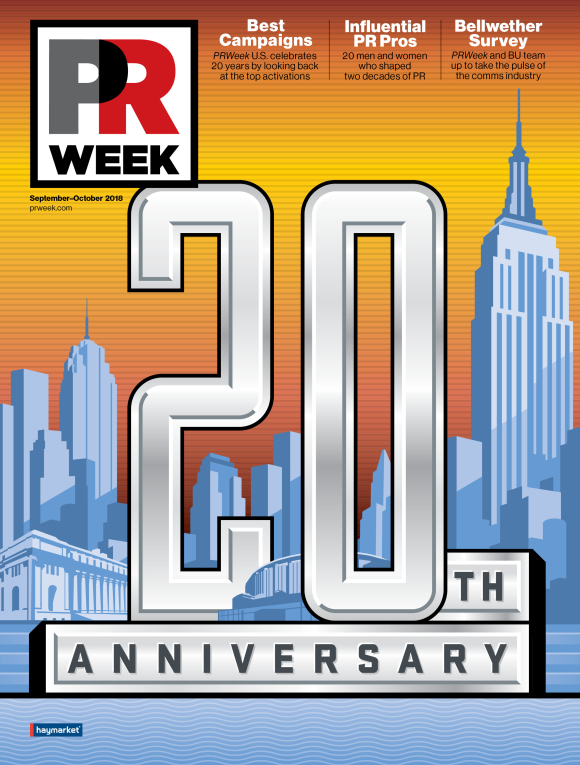 As you can tell by our October print edition cover illustration and anchor features this month, PRWeek U.S. is turning 20. It’s a fascinating point for us to hit this milestone and we’ve teamed up with Boston University to produce a Communications Bellwether Survey to reflect that. After generations bemoaning the fact PR doesn’t have a seat at the table, the profession is firmly ensconced in the C-suite. CEOs have never been clearer about the importance of smart communications and senior counsel in positioning corporations in society and navigating choppy reputational waters. 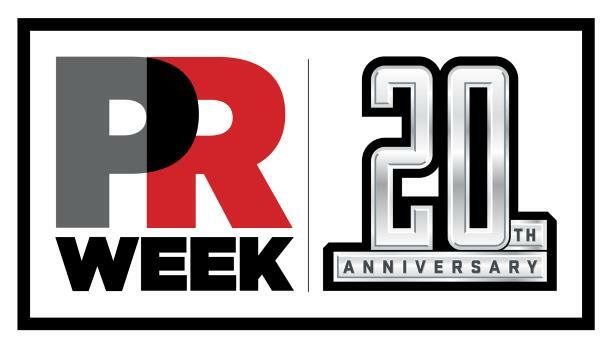 As part of our anniversary celebrations, we’ve identified 20 of the most influential PR pros of the past 20 years, and recently I spoke to one of them for The PR Week podcast, Pfizer’s Sally Susman. "We’ve got a seat at the table and it often feels like a hot seat!" she said. "That battle around needing to be included and involved has been fought and won." Susman was kind enough to thank PRWeek for giving the industry a place to be, talk, celebrate, and share ideas. And that’s a good summary of our mission since our owner Haymarket's founder Michael Heseltine was asked in 1998 to replicate in the U.S. what PRWeek was doing in the U.K. He asked for commitment from the biggest industry stakeholders and we thank all of you for your support then and in the following two decades. Particular thanks go to those supporting our 20th anniversary. We take nothing for granted and truly appreciate those who back us through thick and thin and recognize the value of editorially robust, fair-and-balanced content to reflect the increased credibility of the PR profession. I look forward to advancing this agenda with many of you in person at the annual PRWeek Conference in Chicago next Thursday. We have three former White House press secretaries joining us, all of whom are now plying their trade in the private sector, plus several high-profile CEOs, CMOs, and CCOs - it promises to be a very special event.